People who want to play the classic Nintendo’s games on their iOS devices should be familiar with the GBA gameboy emulator, which is one of the best game emulator for iOS devices. But one thing about GBA is that you can not install this emulator from App Store directly, as Apple already patched the emulator used in iOS 8.x, to enjoy more Nintendo’s games you can now download and install GBA emulator on iOS 8.2 devices without any jailbreak. There are various games emulators available in the market but they all required jailbreak to install whereas the GBA emulator is different from all these emulators as it does not require any jailbreak, which is definitely everybody want to install. That all changed, however, with iOS 8.2. To install GBA emulator, without using App Store, you need to set date in settings app at least one day back, but Apple already fixed this because this loop hole can convert the device into infected device with unsafe malware. But you know what here are some steps to install GBA emulator iOS 8.2 without any jailbreak! As soon as the installation is finished just download desired ROM for the game you want to play on your iPhone. Fortunately GBA4iOS is also available on Cydia, it means the jailbroken devices can also install the GBA emulator to run classic Nintendo’s games. 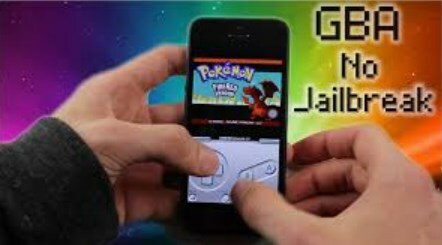 To install GBA emulator on jailbroken device just add the Cydia source “http://repo.hackyouriphone.org/” and then search and install the GBA4iOS to run the classic games ROMs on your jailbroken device. Does not work- this website has lost its credibility for me.